Founded in 2012, Wonder Workshop is a dynamic startup made up of passionate and motivated team members. Although we began in the obligatory Silicon Valley garage, with ideas jotted down on the necessary napkin manifesto, Wonder Workshop has grown up and is headquartered in sunny San Mateo, CA, with offices around the globe. And our small, but mighty robots have reached far and wide. After Wonder Workshop’s CEO and co-founder, Vikas Gupta’s first child was born, he felt the urge for a deeper purpose and left his job to travel the world with his family. He spent a lot of time thinking about how he could he best prepare his daughter for the world of tomorrow. He knew one thing for sure: she would need to be armed with robust technical skills and the ability to code. He also witnessed first hand how quickly his daughter learned anything when she was having FUN at the same time. So, Vikas was inspired to invent a way to engage children to learn to code at a young age. The answer, he found, was in robots. And the idea of Wonder Workshop was born! Throughout our entire production process, we aim to spark creativity with kids of all ages to inspire them to learn critical coding skills while having fun. Our robots put the power of play into their hands so they can dream up new adventures while learning to code at every level. Each discovery, each 'wonder moment,' leads to another, all while unlocking a new way of seeing the future. We think of 'wonder' as that feeling you get when your world is opened a little wider. Like riding a bike for the first time, or taking that leap off the high dive… wonder is even more meaningful when you have to work for it. At Wonder Workshop, we’re engineering play to develop the next generation of innovators. Our mission is to inspire every home and classroom to be a place of innovation–where children, parents, and teachers solve problems of the future using tools created by Wonder Workshop. In 2012, the founders Vikas, Saurabh, and Mikal got together with a simple yet big mission–to make coding meaningful and fun for kids. At that time, there was no Dash & Dot or even robots in the picture. One of the first prototypes was a modular robotics kit that you could program by adding different types of blocks to it. We decided that adding physical objects to change the program was too limiting. You could only add a few things before your car became unwieldy. We wanted our product to have a low floor but a high ceiling. We knew that concepts are more concrete to kids when they are expressed in a tangible, real-world way. But what if the physical object was a platform that you could use with a touch device? That was when the robot was born. To make sure the robot appealed to all kids, we hid the wheels of Dash to make it feel less like a car and more like a friendly robot. The color was also key in making the robots approachable to all kids. While Blue is a primary color, did you know there are 76 shades of blue and over 300 hues of blue? Ta-da! The first prototypes of Bo and Yanna were built. Bo and Yana were the code names for Dash and Dot. We launched our crowdfunding campaign on October 28, 2013, and hit our goal of $250K in just four days. After two weeks, we were at $500K and hit $1.44 million at month’s end. We received visitors from 180 countries and orders from customers in 80 countries even though we were shipping to about 20 countries. Before our campaign, the largest consumer robotics crowdfunding project raised $188K. We appreciate all of the early backers and the press and media outlets who supported us then and now. With prototypes in hand, we embarked on our first production run. We had to source materials, parts, and find the right partner to help us bring our vision to life. 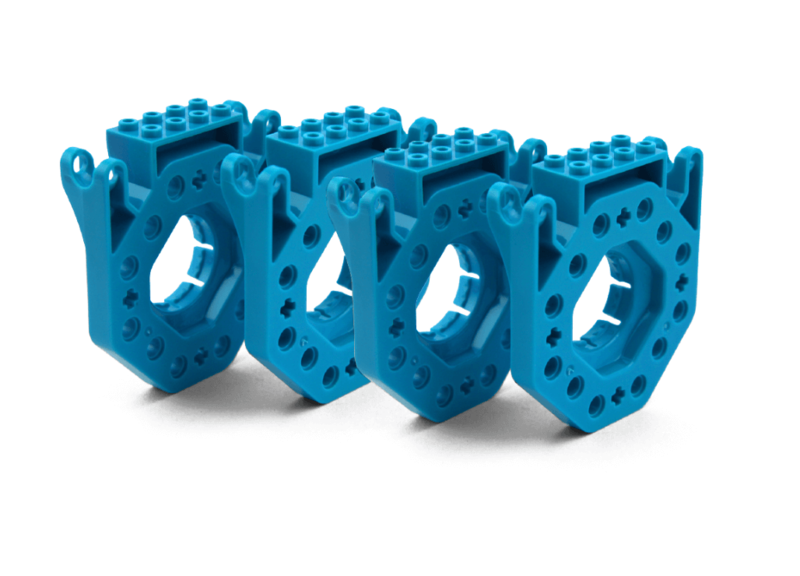 During Summer 2014, we had our first engineering production robots come down the line. We could finally hold the Dash + Dot we spent so long working on in our hands. We see this product launch as phase one of delivering our commitment to you, our customers. We will continue to improve our play and learning experiences in the coming months and years. That was just the beginning of our story. The Wonder League Robotics Competition started in 2015 and has reached more than 50,000 kids in just a couple of years. This growing network of coding and robotics teams uses our all-inclusive program to inspire an early love of coding, computer science, tangible learning, and STEAM education. To learn more about our annual robotics competition, click here. Teachers and parents love our robots–some more than the kids do–and our robots have won dozens of awards from industry leaders and media outlets, which we are humbled and honored to have received over the years. The creation of our Customer Success Team. With thousands of teachers and schools using our robots and curriculum, we built out our Customer Success Team who focus on making sure schools and classrooms across the country have the foundational elements they need to use our products and programs with their students. Our fantastic team is always on the road traveling to schools, regional and national conferences, and a few of them–in their spare time–help deliver our webinar series which you can find on the EdWeb platform. We partnered with, Pencils of Promise (PoP), to help fund schools in developing countries. We held a campaign to help drive the fundraising through Dash sales on our website. It took a bit of time but along with all of the customers who participated in the campaign we raised enough to fund educational programs at a school serving the Goviepe-Todzi community in Ghana. The Goviepe-Todzi Preschool and Primary School was built in 2013 and currently serves 218 students. The community members in Goviepe-Todzi take education very seriously and make it a priority to afford their children the opportunity to attend class in an environment that is conducive to learning and growth. This funding went towards literacy programming, including teacher support, 100 e-readers, and water and hygiene programming, that supports student learning. By July 2016, Dash & Dot had made their way into over 7,000 elementary schools worldwide, earned praise from Melinda Gates as a top STEM toy, and won Good Housekeeping’s Toy of the Year Award. On July 27, 2016, we announced that Wonder Workshop had raised $20 million in funding that would help us make Dash & Dot available with local language support in several countries around the world. Soon thereafter, Dash & Dot began speaking Chinese, Korean, and German and they started experiencing new cultures and societies that are quite different from those in the US. In order to make Dash & Dot feel at home, we’ve redesigned the entire stack so that experiences can be created for each environment. Not only were the programming blocks in Wonder and Blockly made available in each language, but we also redesigned the personalities of Dash & Dot for each region and the puzzles and scaffolding for kids to make them relevant for their world. The Pink Eagles–an all-girls robotics team–wins the 2016-2017 Wonder League Robotics Competition! More than 5,300 teams from 52 countries participated in the competition. The Pink Eagles won the grand prize for the 9-to-12 age group and team XPLODE from Bangalore, India, won the grand prize for the 6-to-8 age group. The grand-prize-winning teams each received a $5,000 grant for science, technology, engineering, and math-related supplies and a Dash robot for every member of the team. The competition began in October with a finalist round in January. The teams competed to rescue animal habitats on Bear Byte Island by completing coding lessons and challenges. The Pink Eagles formed in 2014 and had great success in 2017, placing second in a First Lego League robotics contest. We released a new K-5 Learn to Code Curriculum at ISTE 2017. With a clear scope and sequence, the curriculum covers six fundamental coding concepts, which spiral across six coding levels. These levels align with Code.org’s Computer Science Fundamentals series, and the 30 lesson plans are designed to meet CSTA and ISTE standards. What makes our Learn to Code Curriculum truly unique is a set of independent practice options that teachers can customize for their students’ unique learning styles. Our new integration with Apple’s Swift Playgrounds Playbook gives children–and adults–the ability to see their Playgrounds programming come to life through our robots Dash and Dot. Wonder Workshop is strongly committed to furthering every child’s education and introducing millions of young students to computer science and STEM concepts. The new Dash & Dot Playbook for Swift Playgrounds doesn’t cost a penny and works seamlessly within the Swift Playgrounds—children can easily download it within the iOS app and watch as their coding creations come to life through the lights, sounds, and movements of Dash & Dot. It is our first foray, and it gives children a taste of how they can use Dash’s sensors and capabilities to program a real robot. Cue robot was designed for kids who are interested in learning how to code. Cue is a witty, entertaining robot with four hero avatars & enhanced AI that takes personality, interactive communication, and programming to a new level. Cue comes in two colors – Onyx and Quartz. Both robots are packed with technology and fun. 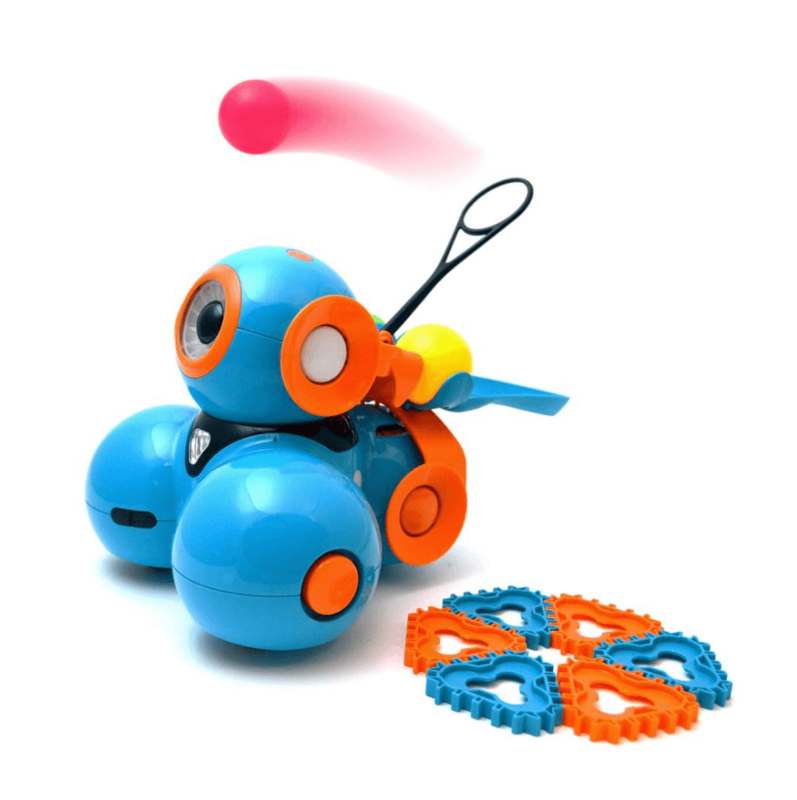 Dot Creativity Kit was designed for adventure, fun and learning at an affordable price, the kit combines Do-it-Yourself projects with a quirky green robot and 100’s of self-guided coding challenges. We announced the first in a series of online courses to come from Wonder Workshop, Introduction to Coding and Robotics with Dash & Dot. The online course contained six two-hour modules for teachers to complete at their own pace. This first course gives teachers an overview of computational thinking and how to get started with Dash and Dot in the classroom. Sketch Kit brings an entirely new experience to Dash and Cue robots, and we are excited to see the masterpieces coded by children. We were inspired by the creativity of children around the world experimenting by attaching markers with various homegrown contraptions to Dash and Cue robots. We hope the freedom unlocked by Sketch Kit will, in turn, inspire young inventors and creators around the world. Vikas Gupta was been named 2018 Emerging Pioneer at the KAPi Awards. The KAPi awards recognize the most innovative games, software, devices, and apps for educating and entertaining today’s digital children. The pioneer award is given to a person or company who has changed the course of kids interactive media for the better. 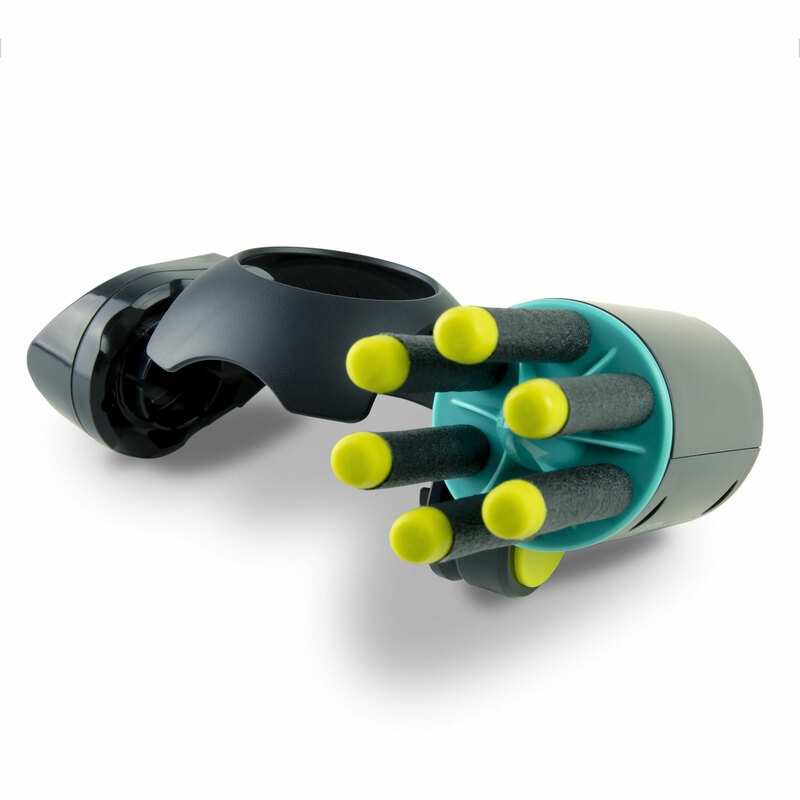 We proudly launched two new accessories the Gripper Building Kit and Blaster Power for Cue. 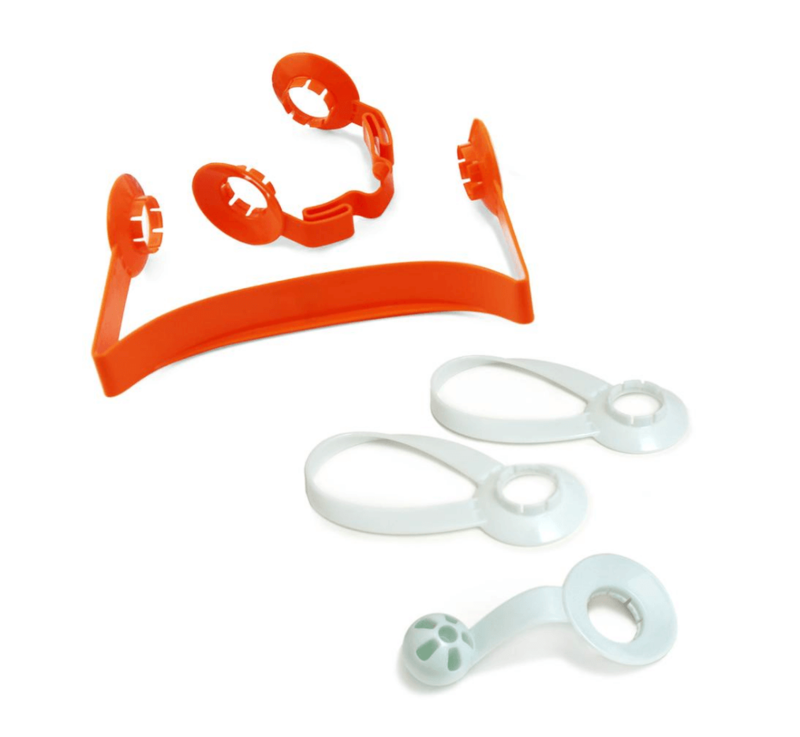 Gripper Building Kit is an easy-to-construct set of functioning arms that expand your robots’ capabilities. 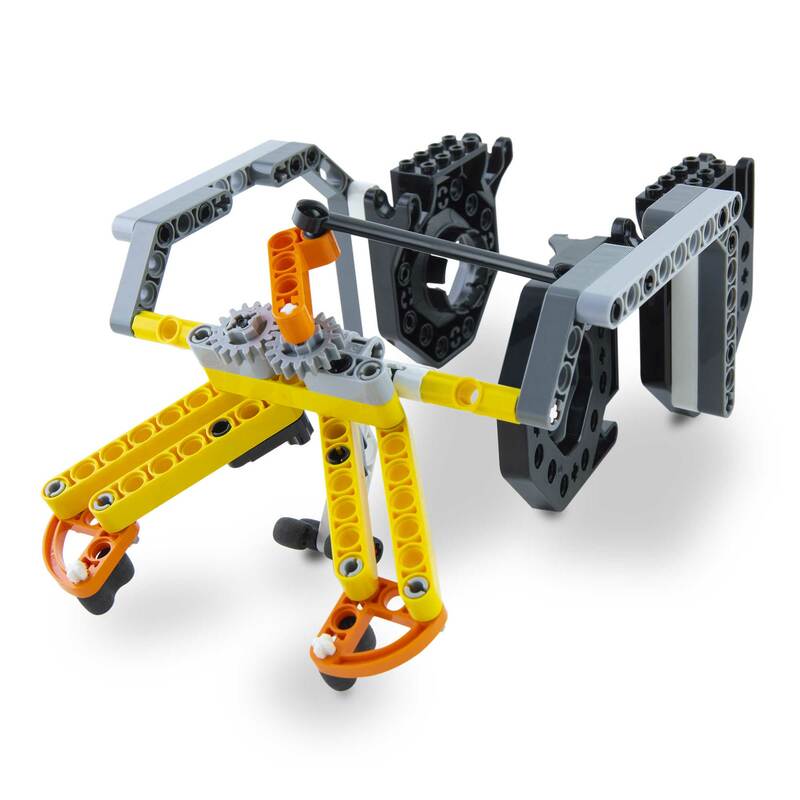 Build the mechanical arms for hands-on learning of gears, levers, and axles. Master more robotics skills by simulating real-world object detection and manipulation using your robots’ sensors and motors through code or manual remote control. Blaster Power for Cue is a unique and action-packed accessory that encourages skill-based play and teaches kids 11+ about trajectories. Expand Cue’s reach to new heights with this motorized projectile-launching accessory. Explore new horizons by pushing or hitting objects over long distances and at great heights. Elevate your game to a whole new level of fun. Honored to have Cue win the EdTech Digest Cool Tool Award for 2019. The EdTech Awards recognizes people in and around education for outstanding contributions in transforming education through technology to enrich the lives of learners everywhere. You’ve reached the end of the timeline! Wow, you read the entire history of Wonder Workshop! We think this might mean one of two things, you should be working with us, or you just really like us and should be rewarded for doing so. Dash visited the White House. Dash has been everywhere, really, and is kind of famous. We do our best to make sure it doesn’t go to its head! In 2015, Dash was featured prominently alongside President Barack Obama at the Hour of Code event in the White House. In 2015, Melinda Gates described Dash on her blog as ​'...the best tool for children to learn Computer Science​.' And, Dash has even made TV appearances on The Big Bang Theory, Ellen, The Today Show, The View, The Talk, and a lot more. Dot went to outer space. In 2018, a few of our team members took Dot out to the desert in California, strapped it to a balloon, and sent it into the stratosphere. The Wonder League Robotics Competition is one of the world’s biggest kids’ robotics competitions. Every year we host an annual Wonder League Robotics competition that attracts kids from all over the world. In 2017-18, we had more than 7,100 teams registered, comprised of more than 23,000 kids ages 6-12, with participants representing all 50 states and 63 countries. Did you just say 23,000 kids in 63 countries? Yes, we did. Top teams in recent years included two 6-year olds from Mumbai and two teams of 6-8-year-olds from Taiwan. Dot has been to six of the seven continents. While Dash and Cue are avid travelers, Dot has been to a country on six of the seven continents. Robots seem to shy away from Antarctica for some reason. A little girl helped start Wonder Workshop. Soon after founder Vikas Gupta’s first child was born, he started feeling dissatisfied with his job at Google and felt the urge for a deeper purpose. So he up and left to travel the world and devote all his time to his daughter. He spent a lot of time thinking about both his own future and HER future. He wondered how he could best prepare his daughter for the economy of the tomorrow? He knew one thing for sure: she would need to know how to code and be armed with robust technical skills. What was the best way for children to learn to code at a young age? What will entice children to go beyond the screen and engage with coding? The answer, he found, was in robots. The idea of Wonder Workshop was born…. Just as many girls love Wonder Workshop robots as boys. We think the gender gap that exists in tech today is a problem, and Wonder Workshop is helping to address this for the next generation. We designed our robots to be completely gender neutral and appeal equally to both boys and girls. And the response has shown we have a gender-balanced fan base! Our Wonder League Robotics Competition has close to 50% participation by girls (2017’s competition was 47% girls and 53% boys). By comparison, typical robotics competitions only attract 10-15% girl participants. The balanced nature of our events means that the competition level is raised, and it’s a friendlier and more inclusive environment for everyone. The Wonder Workshop team is a dynamic group of individuals with passions spanning from engineering, toy design, and software; to teaching, learning, and child development; to animation, storytelling, and writing; to production, operations, and finance. Together we strive to be Wonderoos.